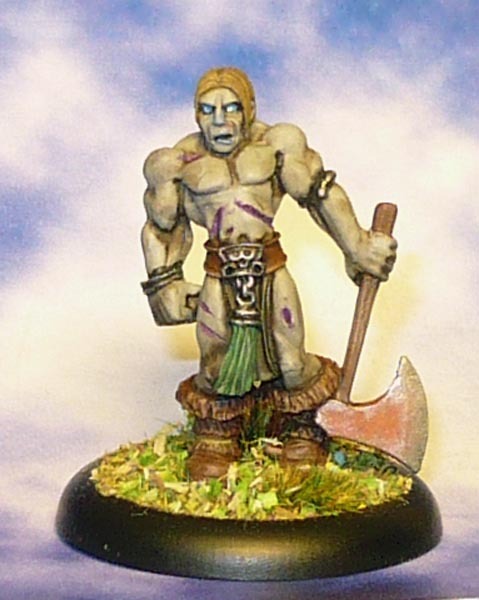 From Ye Pile of Olde hails this excellent zombie barbarian from the defunct game Chronopia. Looks like this one was sculpted by Kev White. Mervyn will be needing something to raise, after all. Chronopia Unliving, Sons of Kronos faction. PreviousGoat, from Billy, Goat and Gruff. NextDown, Down, Down in Goblin Town!